Why New Coffman® on Immigration, You Ask? Voters in seven GOP-held congressional districts would be less likely to vote for their current representative if he doesn’t support immigration reform, according to the poll from Public Policy Polling. The number of voters who would be less likely to support their current congressman ranged from 40 to 47 percent, while the number of voters who would be more likely ranged from 19 to 31 percent. Voters also said they were less likely to support Republican candidates in general next year if the GOP House members block the current immigration reform proposal. The districts surveyed include five with high numbers of Hispanic voters, represented by Republican Reps. Jeff Denham (Calif.), Gary Miller (Calif.), David Valadao (Calif.), Mike Coffman (Colo.) [Pols emphasis] and Joe Heck (Nev.). The reason voters would hold it against their officials if immigration reform does not pass is that there’s overwhelming support for it in each of these highly competitive districts. Anywhere from 61 to 69% support the proposal the Senate passed last month. There’s also a sense of urgency on the issue with 75 to 78% of voters in each district saying they think it’s important the US fix its immigration system this year. The poll confirms something our readers already understand, which is that Rep. Mike Coffman is one of the most endangered incumbent Republicans in America–primarily due to redistricting that transformed his former Republican stronghold into a diverse battleground. 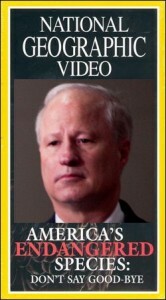 The problem for Coffman is, his new moderate view on the issue of immigration has not made the jump from rhetoric to votes–and based on Coffman's recent weasely vote against DREAMer students, there's little confidence that New Coffman® can suppress Old Coffman long enough to actually vote in favor of comprehensive immigration reform. We'd say the odds are at least even that he won't. Well folks, here's a poll saying that could mean the end of Coffman's political career. the end of Coffman's political career. Could the Congressman face a primary challenge if he votes for legislation that includes a pathway to citizenship? I don’t the answer, I’m just wondering—more than one Colorado Republican candidate has tied themselves in knots trying to appease both the base and general election voters. If I were looking at this rationally, I'd say Coffman should be safe from a serious primary challenge if he does that. But the Republican Party isn't rational, and this district's Republicans have a history of being less rational than some, especially on this issue. ArapaGOP is probably more tied in to the current thinking in the district party than most – what say you? If Coffman were to vote in favor of a path to citizenship and it were to pass, how upset would district Republicans be? We trust Rep. Coffman to vote his conscience. We know that he won't support amnesty without enforcement. But what Arap is talking about is some mythical 60 foot high steel nd wire wall from California to the Gulf stream waters. It's not about Canada. It's not about containers moving through the various ports. It's Ioddly) not even about punishing employers. In other words, the CO GOP is willing to give Mikey a pass on this issue because even you guys realize he's dead meat otherwise. Except that kind of "say I have one position when I've clearly shown another" only works with low info voters like Guppy and his pals. The people he thinks he's going to fool aren't as willing to believe lies. That's not A-GOP's personal opinion, that's the spin from a paid shill. There's no way to rule innocent men. The only power any government has is to crack down on criminals. Well, when there aren't enough criminals, one makes them. One declares so many things to be a crime that it becomes impossible for men to live without breaking laws. Who wants a nation of law-abiding citizens? What's there in that for anyone? But just pass the kinds of laws that can neither be observed nor enforced nor objectively interpreted – and you create a nation of lawbreakers – and then you cash in on guilt. Now that's the system, Mr. Rearden, that's the game, and once you understand it, you'll be much easier to deal with." Its a sad day when a fellow conservative forgets the lesson of that passage as applied to the immigration debate. Calling Guppy a conservative is a monumental insult to a lot of reasonable people who are so aligned. As a resident of CD-6, I can only say, NOT ONE MINUTE TOO SOON!!! Woo-Hoo!!!! No tears for Mikey. He has his lovely state pension and will have a very nice congressional pension. All that and a hard-working wife! What more does a GOTP critter need? … a musket and a tri-cornered hat???? Even if Coffman somehow manages to sound like a socialist (um, I mean moderate) in favor of AMNESTY, uh pardon me, I get a little carried away…. Anyway, if he survives the Nov. 2014 election by appearing to be sane, I can promise the day after he'll revert to Old Coffman to court his teabagger base as a mea culpa.